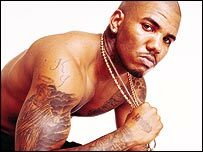 Radio 1 was, however, correct to cancel future interviews with the American rap star Jayceon Taylor — known as The Game — after he called gay men “faggots” during a live interview. The presenter Jo Whiley showed “courage and presence of mind” by making an instant full apology, the panel ruled. - BBC Homophobic?